They had first met when Jeff was five. 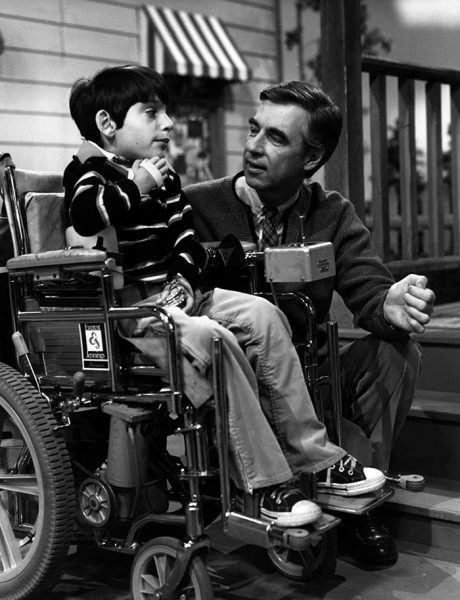 Jeff’s parents, knowing he was about to have especially difficult spinal surgery, wanted to fulfill his wish to meet his longtime “television friend” Mister Rogers. When Fred was travelling to nearby Milwaukee, they had a chance to meet. There must have been something about Jeff that resonated with Fred Rogers that day – and he was right. Jeff was an extraordinary boy with profound disabilities. He was charming and delightful, open and honest. 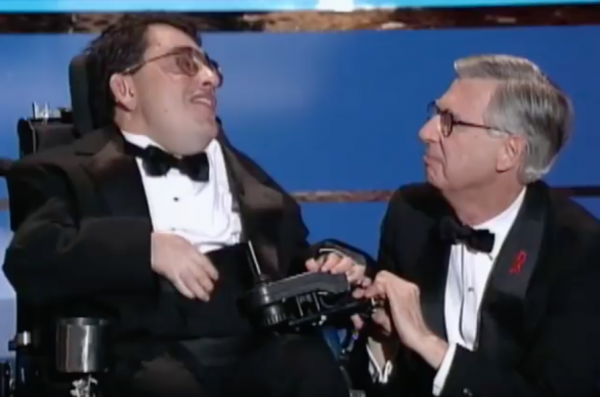 Mister Rogers didn’t dismiss Jeff’s disability or the difficult times “when you do feel sad.” He wanted to give Jeff a chance to talk about it and share those honest feelings with others. Almost twenty years later, when Fred Rogers was inducted into the TV Hall of Fame of the Academy of Television Arts and Sciences, who was brought in to introduce him to the audience? None other than Jeff Erlanger. Fred was so delightfully surprised that he leaped up on stage.